Lenovo, one of the world’s leading PC players and No. 1 Tablet brand in India, announced the launch of theYoga 920 Limited Edition Vibes, a 2-in-1 glass convertible laptop. The new and premium Yoga 920 is an illustration of the increasingly natural interface between humans and machines through its stand-apart and premium features. 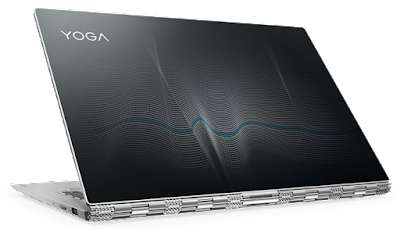 The premium convertible Yoga 920 offers a unique limited edition glass cover design, ‘Vibes’ that represents the dynamism of Yoga through simplicity, style and refinement. The Vibes design was crowdsourced through a contest with some of the world’s most ambitious design trendsetters. 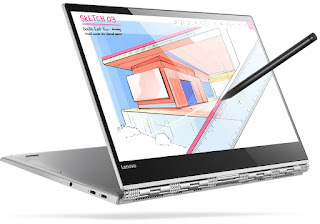 · Productivity: High speed connectivity with AC 2*2 Wifi, faster data transfers and Lenovo Bluetooth Active Pen for pen-on-paper precision. The Active Pen with 4,096 levels of pen sensitivity dramatically expands the creative and cross-application potential of the PC. · Stylish Form Factor: Weighing in at just 1.37 kg (3.02 lbs) and an ultra-thin 13.95 mm (0.55 in its case is all-metal unibody in distinctive platinum color. Yoga’s signature watchband hinge offers incredible user flexibility, including typing in laptop mode, presenting in stand mode, browsing in tablet mode, or watching videos in tent mode.